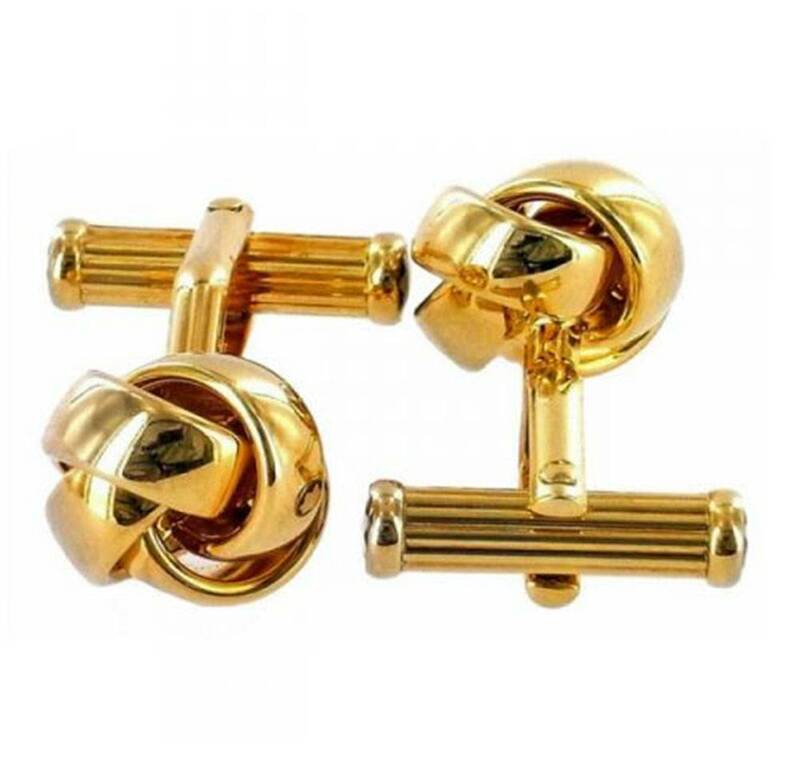 Montblanc classic gold knot cufflinks. 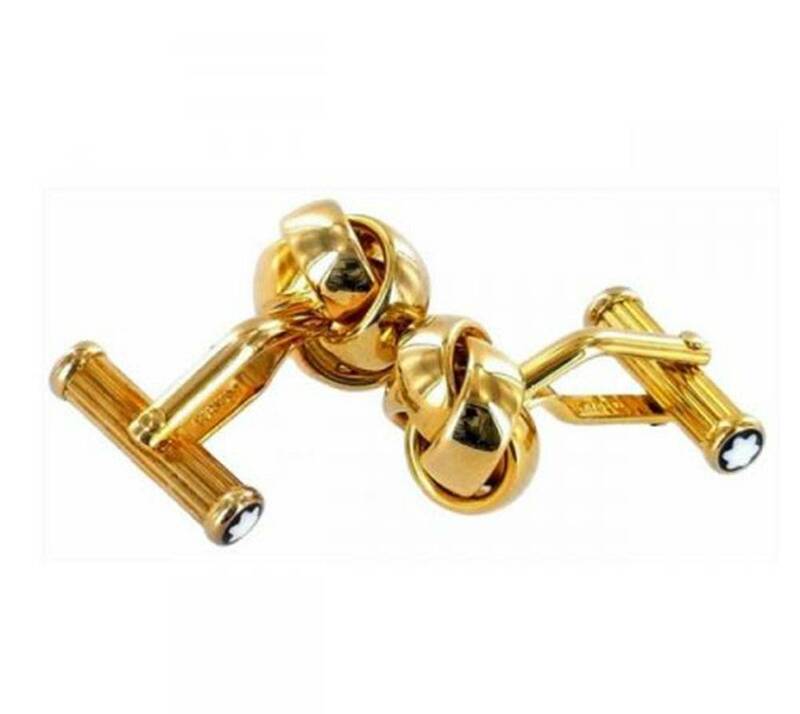 The gold plated knot is made up of four overlapping strands and the cufflinks feature the Montblanc signature s-arm which has on each end of the moving back bar the Montblanc emblem embedded into the gold which is made from enamel in black and white. The folding s-arm secures them in place on your shirt and to make it easier for you to slip through the hole and fasten into place. Come in original box.